TAMA's entry-level Rhythm Mate drum kit provides the precise bearing edges for easy tuning that beginners need and the wide tuning range that pros demand. TAMA's original Accu-Tune Bass Drum Hoops offer faster, more consistent tuning than traditional metal hoops. And if that wasn't enough, the hardware is equipped with double-braced legs for increased stability. 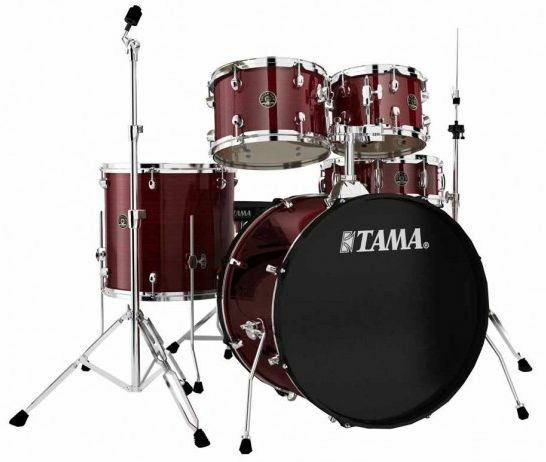 TAMA Rhythm Mate drums are changing the way entry-level kits are designed.